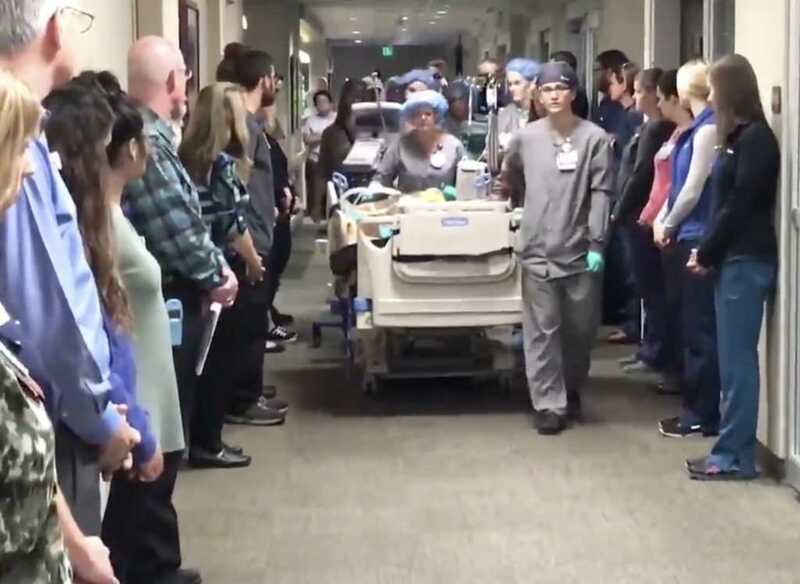 The employees at St. Luke’s Hospital in Idaho provide a special ceremony for every deceased patient who donates her/his organs. All employees report to the 4th floor. They silently line the hallways as the deceased patient and their families move toward the operating room. In this room, the patient will follow through on their desire to donate body parts to those in need. It might be a heart or a kidney that saves a life. It might be a retina that allows someone to see. It might be skin for a burn patient. To honor this donor and their struggling family members, employees line up in silence. Joe’s Perspective: If you don’t know, only 45% of Americans are registered organ donors. I am one of them. I just think logically. If I am in a position to donate my organs, it means that I am not in a position to need them anymore. My organs can benefit those in dire situations. I know I would want you to do the same for me. This is one of the most respectful rituals that I have ever seen. I love that health professionals recognize the importance of this organ donor. Very cool. Bravo to these employees. I bet that makes the family members feel as positive as possible, given the sad circumstances. Your Turn: Will you consider designating yourself as an organ donor? Why or why not?